•To enhance the quality of learning and teaching in all areas of the curriculum. •To help students become independent lifelong learners by developing information skills in both the formal curricular context and recreational enquiry. •To support raising attainment in literacy, by promoting reading within the curriculum and for recreation. 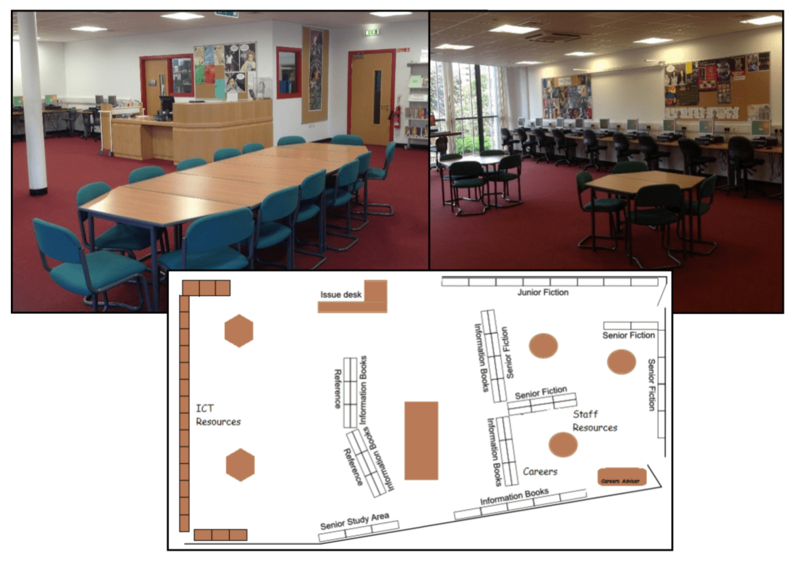 •To create a positive, welcoming, attractive and supportive environment in the library where students feel safe and valued and within this ethos are encouraged to take part in purposeful activity. •To provide access to a range of quality resources at different levels in a variety of formats, including ICT. •To provide access to a range of quality careers resources. •To provide access to a special collection of staff resources for all teaching staff including probationers and students. The library has approximately 6,850 books and can seat 58 students. There are also 20 computers that students can use. * by arrangement with the librarian as this time is also used for staff development which sometimes takes place out with the library. The librarian, Mr Mackenzie, is available for help and advice to staff, students and parents throughout the school day. Everyone can borrow two books for two weeks. Staff and senior pupils may borrow more at the librarian’s discretion according to needs. For books already out on loan can be made either by asking the librarian or directly from student accounts in the library catalogue. All S1 students have information literacy sessions in the library where they learn about using the library and how to find books and other forms of information for themselves during Technology class time. All S1-S3 have timetabled English library periods on a weekly basis. All curricular departments may also book library periods as and when needed. The library and the ICT resources within it may be booked separately or together by staff. There is also an App available for free from the App Store – just search for iMLS and once installed to your device search for the school by postcode EH11 2ND. Guest access is also possible. An additional dedicated homework club runs in the library on a Monday at lunchtime. School library staff throughout the council have produced a number of publications to help students choose fiction books. These are available from the LRC and are updated annually. This is a book review magazine with a difference as it comprises reviews by students attending Edinburgh’s secondary schools. All students at Tynecastle High School are invited to review new books sent to us by the editorial team and all reviews submitted are included in the publication.